and usually retails at £68 but a cheeky Black Friday deal meant I got it for £55. With navy and silver sequins covering the dress, you will be sparkling all night! Like many high street sequin dresses, many did fall off. It was slightly disappointing as it wasn’t overly cheap for a high street dress. BUT there are SO many sparkles that you wouldn’t be able to tell unless you look closely! Just be prepared to sweep up your floor the next day! I loved that it had long sleeves, giving it a classic look, and also being a little warmer now the temperature has well and truly plummeted! I paired this dress with a pair of Carvella black suede heels. These are the comfiest heels I have ever owned! They lace up at the front and the heel isn’t overly high but still makes your legs look long and completes any christmas party look! I don’t think you can buy this particular pair of heels anymore, but on House of Fraser website they currently have some AMAZING deals on very similar style Carvella heels. 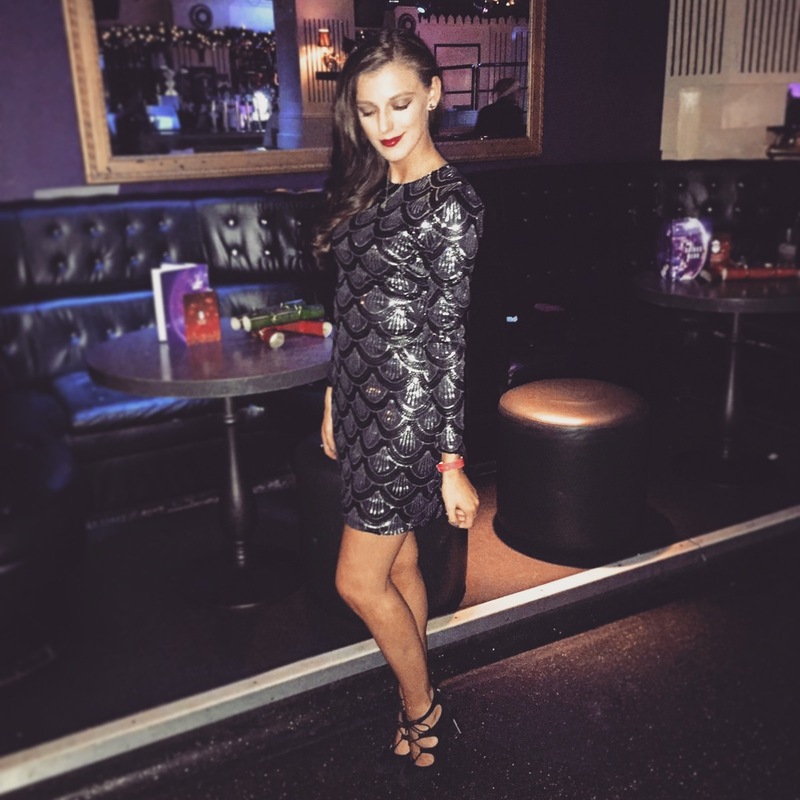 I hope you enjoyed this post and have got some ideas for your own christmas party outfits! Keep you eyes peeled for a christmas party make-up post appearing in blogmas!